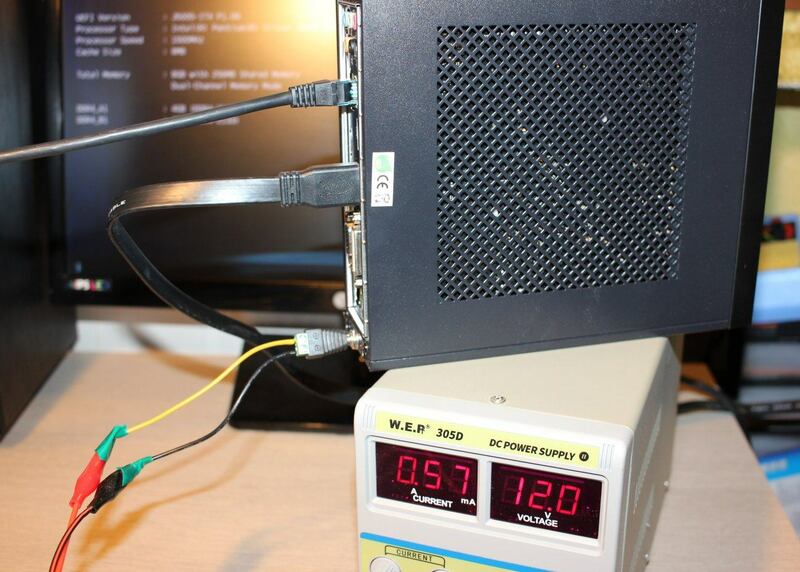 How much power a 10W TDP CPU can draw? 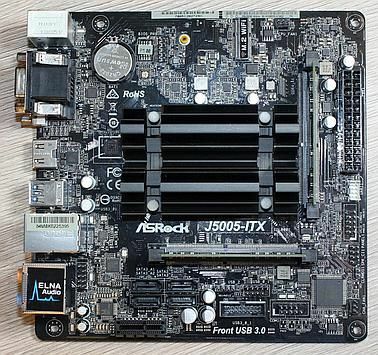 The test system consists of the ASRock J5005-ITX motherboard, 2 x 4 GB of RAM and a SATA Goodram SSD. 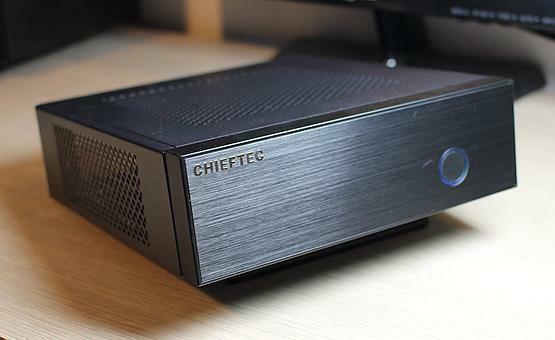 To add more real world value to thermal testing the system was placed in a Chieftec IX-03B-OP mini ITX case. In a typical PC you will have an ATX power supply that connects directly to a power outlet and provides all the necessary PC connectors on the other. It works really well if you don't want to shrink the PC as much as possible. 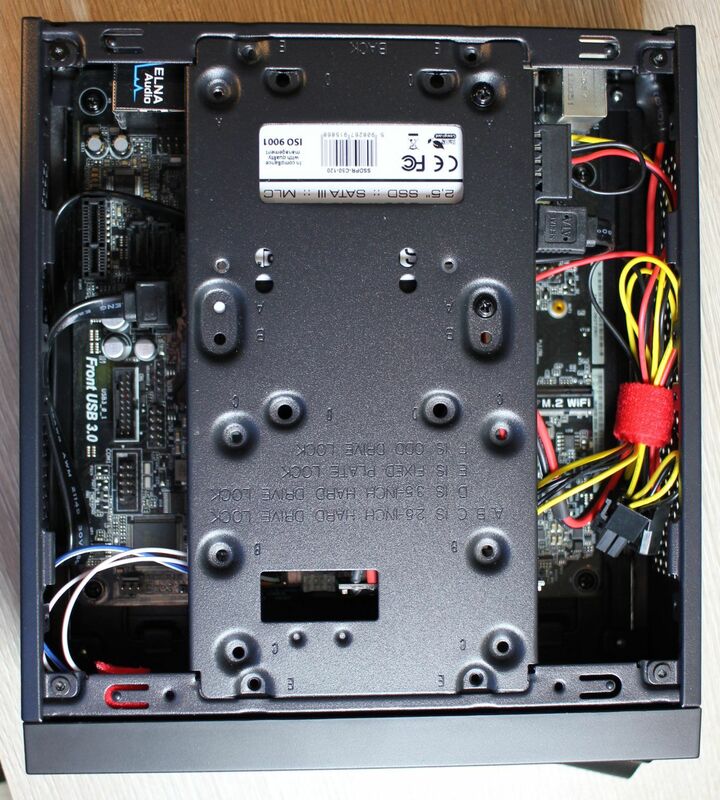 Small mini-ITX system don't have a room for ATX or similarly shaped AC power supplies. In such cases there are DC/ATX power supplies where the whole power delivery is split into two parts. 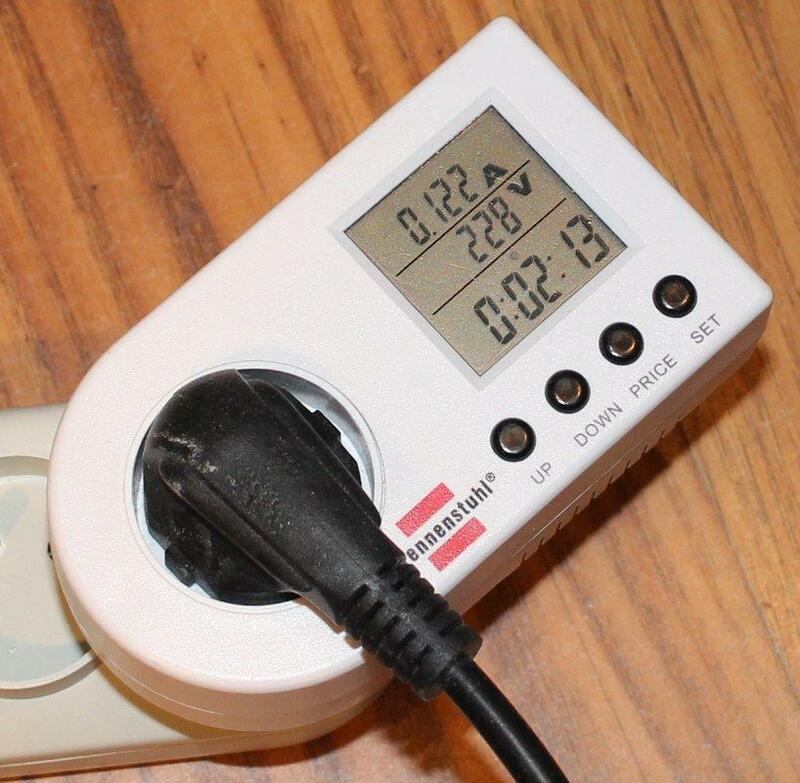 You have an external power brick power supply that goes to the power outlet. 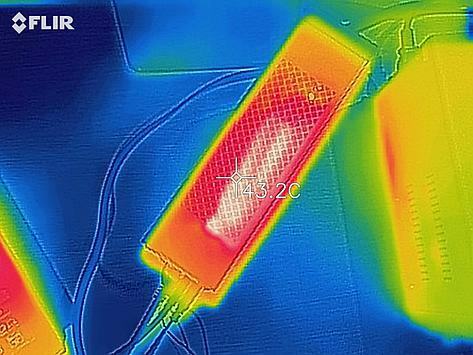 It provides a DC current, 12V quite often. 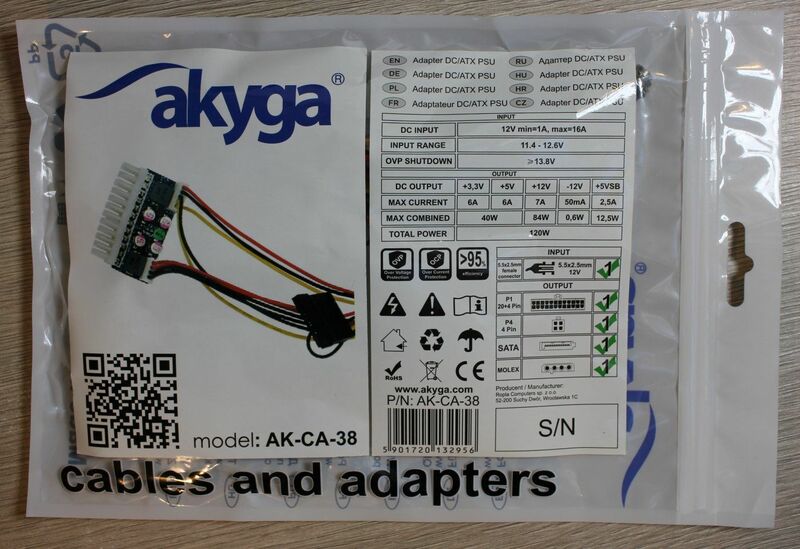 The second part is a DC/ATX power adapter that goes inside your PC and provides connectors to all PC components. 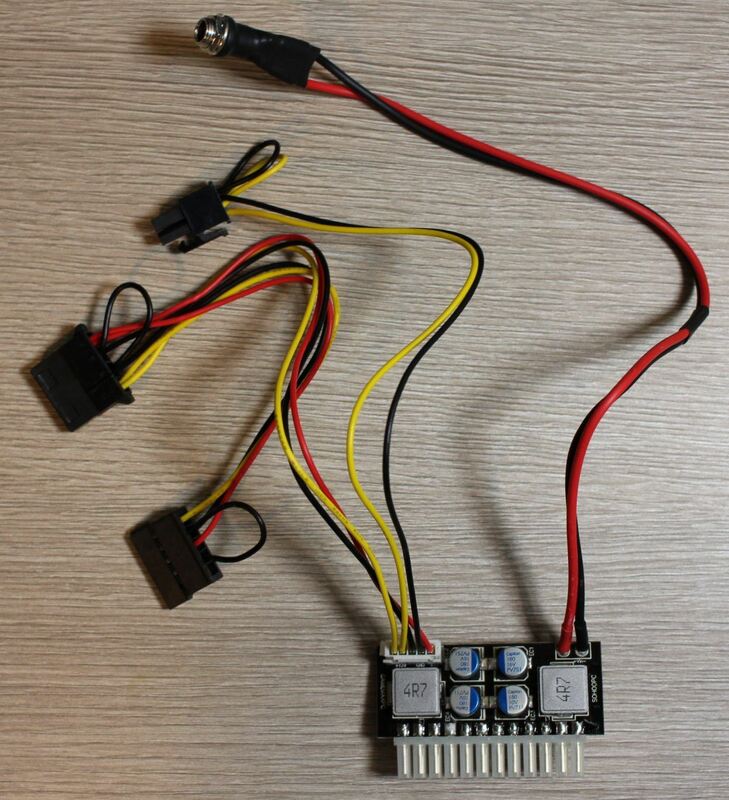 It's job is to take that 12V and provide all voltages the PC needs - like 5 or 3.3V. Splitting the power delivery in such way allows it to take much less space inside the PC case and so it can be smaller. Such DC power supplies are sometimes called PicoPSU which originates from a brand name under which some are being sold. 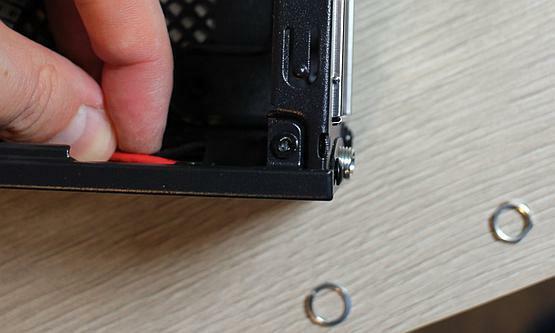 You can find PC cases with such DC power supplies or buy a separate one and use it in a custom build. 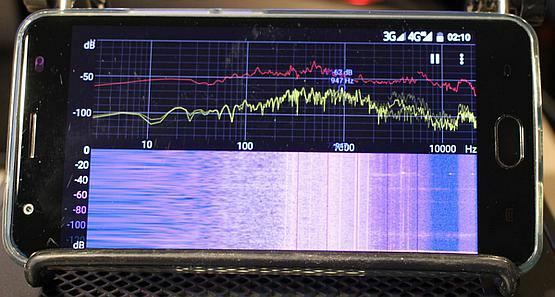 The disadvantage to those PicoPSU systems is their low power throughput. Most of them can deliver around 100W of power. More expensive are rated at 200-300W but still not providing many connectors so you can forget about using a power hungry GPU and multiple accessories. On the other side powerful ATX power supplies have low efficiency at low load - and when you combine a low power CPU with an ATX power supply rated at like 500W or more you won't have great efficiency. The build is quite standard. Get the motherboard and install the RAM. Then install the I/O shield and the DC power adapter on the back of the case. 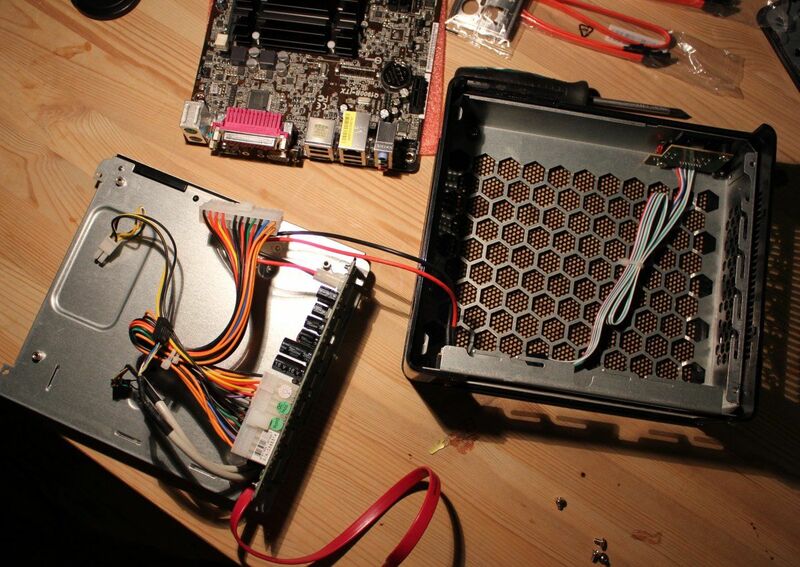 After that the motherboard can be installed inside and screwed to the mount points. The Pentium J5005 is rated at 10W TDP. That isn't equal to power usage. Also other components like USB devices, storage, memory and motherboard itself will use some power too. We can measure the power draw from the power outlet but that will be affected by the power brick power supply efficiency. As this is a DC power supply a power brick can be replaced by a lab power supply that can be configured to provide 12V and show what's the load caused by a connected device – by the PC. 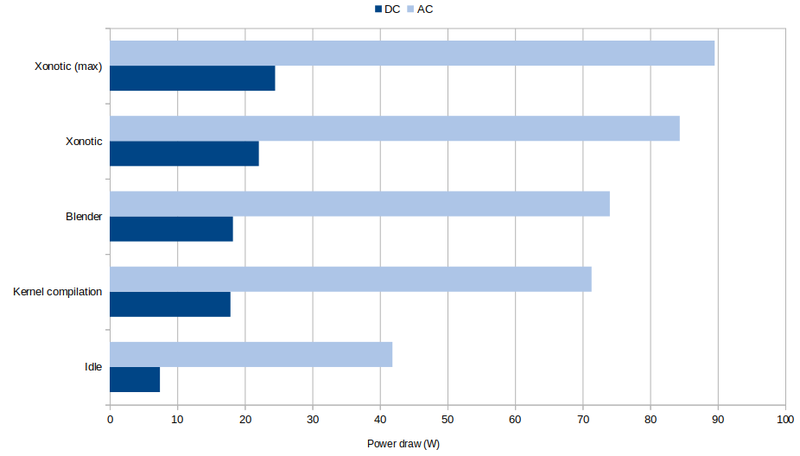 That will give us a second measurement showing closely what the PC actually uses in terms of DC power. Low power fanless ITX system isn't a likely target for hard computation tasks resulting in constant full load but still - you can build a small mini or thin mini ITX system with high performance Intel CPU or AMD APU. 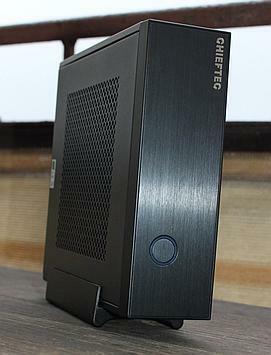 Those can serve as a quite powerful PCs for CPU-based workloads. 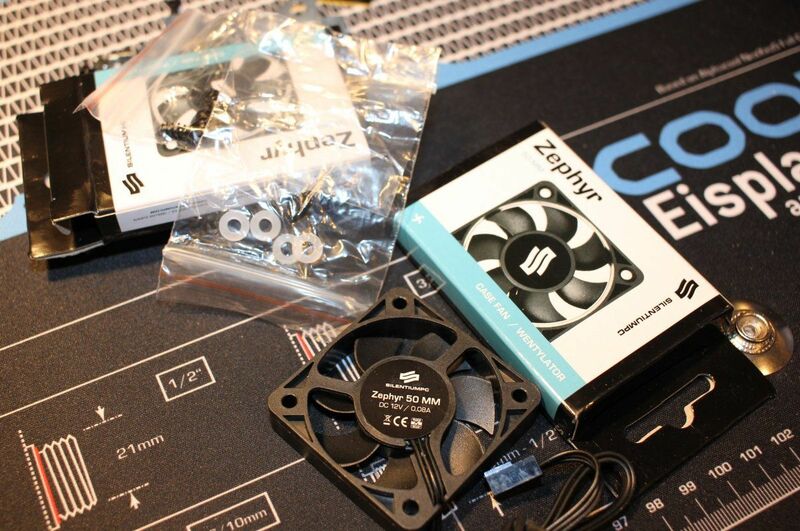 The question is - does a such small case and a fanless motherboard can handle full load of a 10W CPU? Some of variants of this Chieftec case support 50 x 50 fans. It looks like you can mount up to four - two on each side. In the model I have – IX-03B-OP there seems to be bit to little room to mount the fans and then fully close the lid. There is a bit taller model that likely fits everything better. 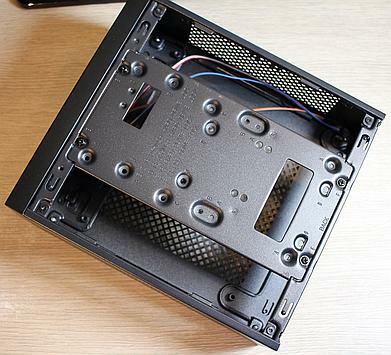 Some small PC cases allow mounting one large fan on the side of the case. Big fans rotate slower and thus end up quieter. Also noise they make is of less annoying frequency. So if you can't avoid fans - try to use a case that supports larger fans. I run a set of CPU and iGPU intensive benchmarks on Xubuntu 18.10 Linux using Phoronix benchmark tool. You can find all the results on openbenchmarking.org. Below you will see a compilation of those results plus power usage readings from the AC power outlet and DC from the lab power supply. The tests were run for three configuration - fanless, with two 50x50 fans (bottom, blowing up through the case, case on stands to provide air intake) and third with PC with fans outside the window for much much cooler air. As you can see the PC with no fans shows bit lower performance. You can also see those results to have uncertainty marked. 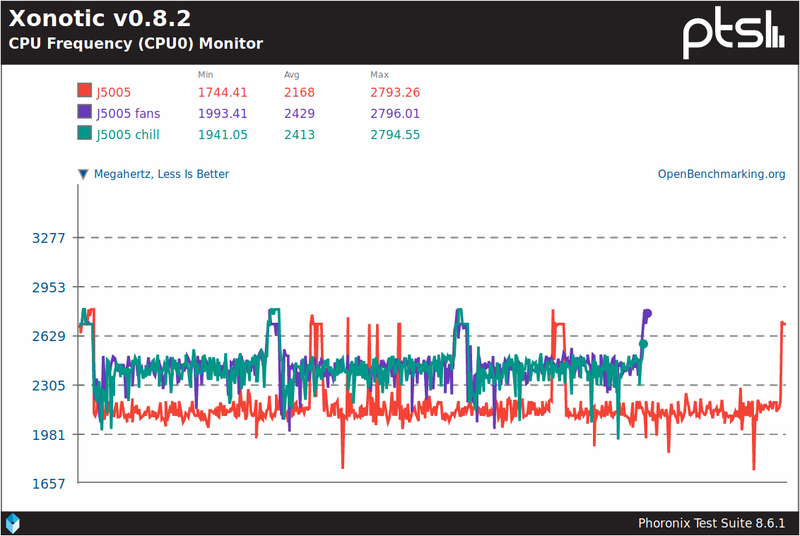 As each benchmark is 3 runs - when the CPU got hotter more throttling kicked in resulting in lower and lower results. Kernel compilation for passive setup took 506s, 530s and 537s. With two fans this task took 499s, 493s and 494s. 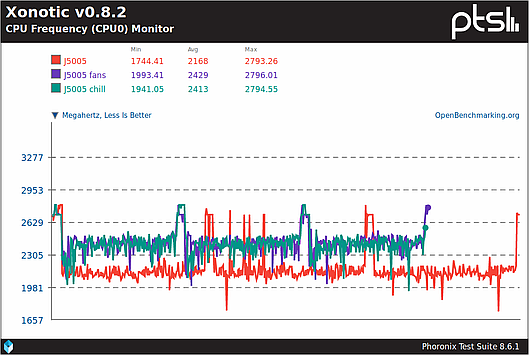 Here we can see that in both cases the CPU frequency was higher for the fan variant. 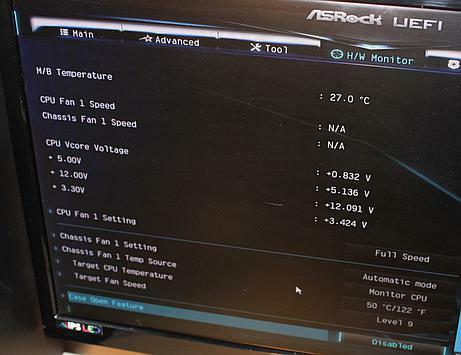 Xonotic benchmark had similar temperatures as uncooled variant but managed to keep the clock higher and thus the CPU used more power and produced more heat. 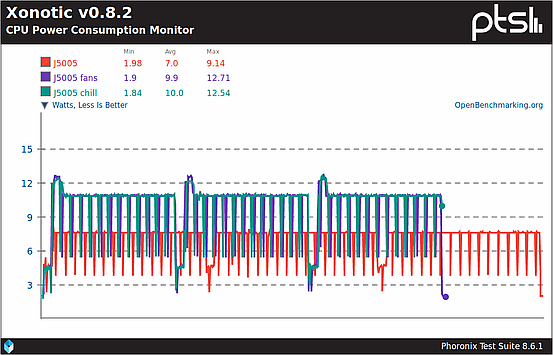 In CPU based Blender benchmark reported CPU power draw didn't exceed 10W. During Xonotic runs where CPU and iGPU are utilized the power usage rose almost to 13W. The CPU is rated at 10W TDP so it was around that value. Here we see the DC power draw of the whole PC. Uncooled caps below 17W while cooled reaches almost 25W - where some power is used by the fans and some by higher clocks on the CPU. 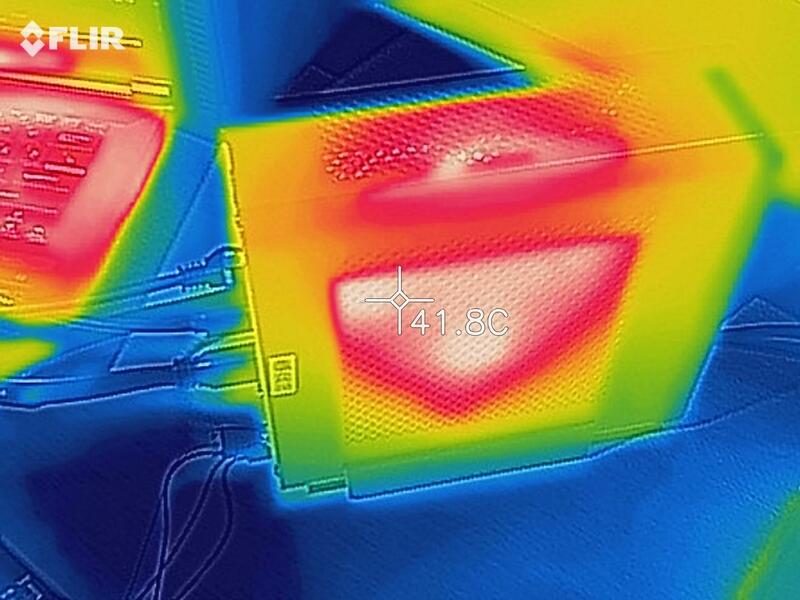 The AC power draw from the wall at max gets close to 90W but on average keeps between 60-80W during high load. 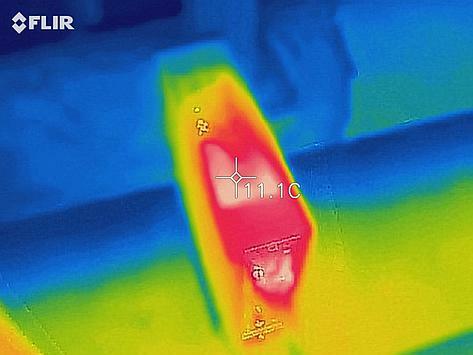 Even though the case has a lot of ventilation holes and the motherboard has a large heatsink on the CPU there is some thermal throttling under full load. And that's on a 10W CPU. There are much bigger passive radiators like the Arctic Alpine 12 that can be used with TDP low-mid range Intel and AMD CPUs. 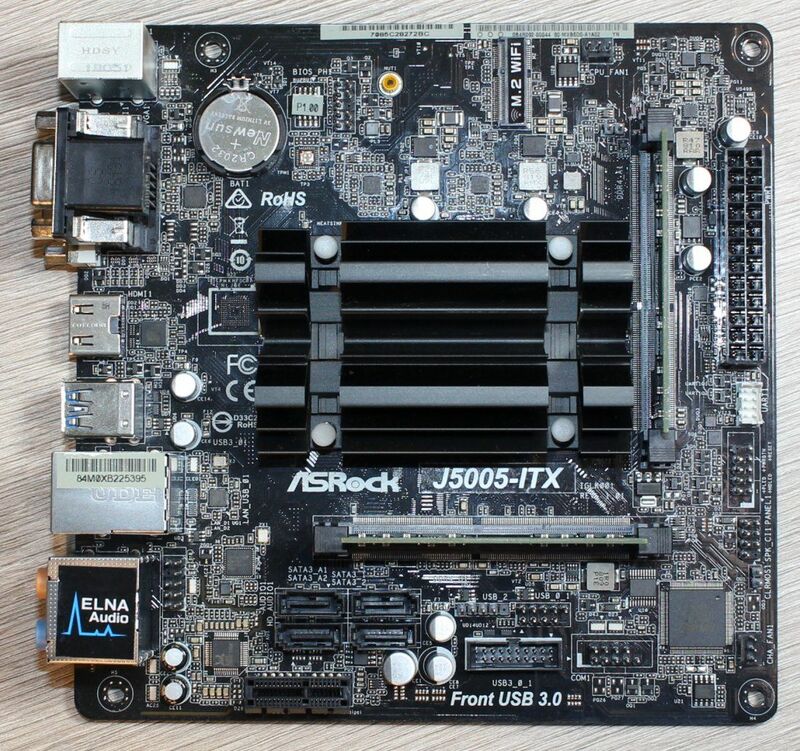 As when a J5005 system at peak pulled nearly 90W from the wall (with a 120W power limit on the DC adapter) it may be questionable to build a totally fanless system with an AMD Ryzen APU or Intel Core i5 or Core i7. Even though zero-noise of a fanless system maybe your goal - if you expect to put real load on the chip then I would recommend using a small case with an ATX or SFX power supply and one or two largest case fans running at low RPM. 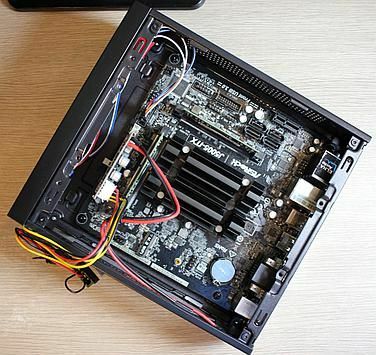 Good power supply won't make noise with it fan while two large case fans will provide a lot of airflow in the case while being very quiet. If they will be PWM-controllable then under low load they may be even standing still. This also mean that it's rather advised to stay away from small fans if you want quiet running. 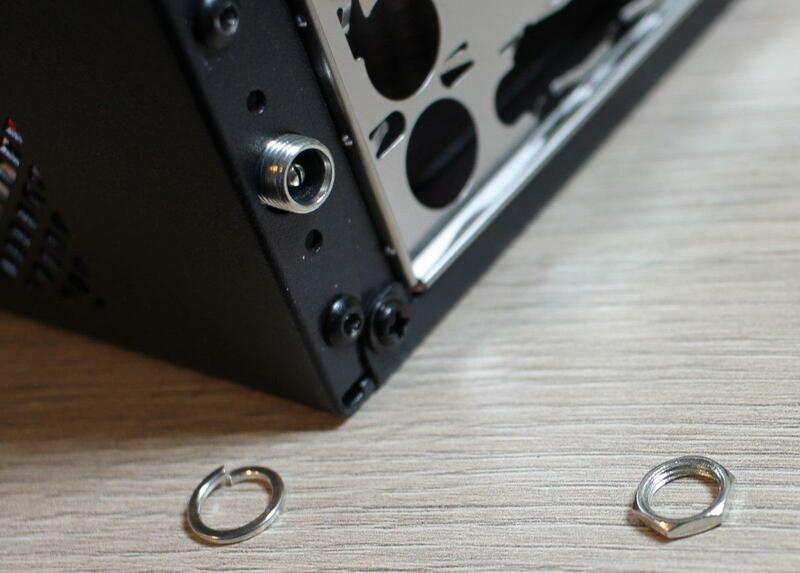 Some mini-ITX cases come with small fans integrated - that may be a noise problem. 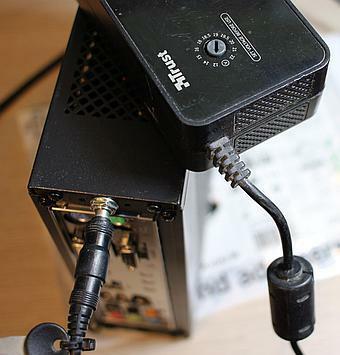 Some cases come with a power supply. 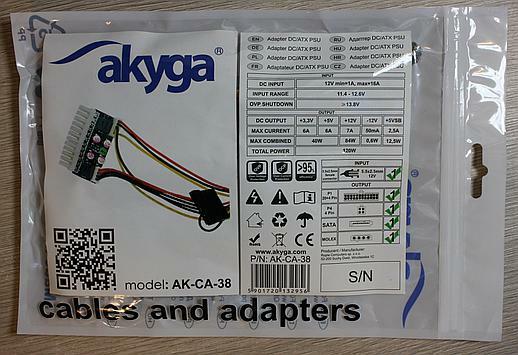 You can check the specs to see if it's a fanless DC adapter and what connectors it provides. 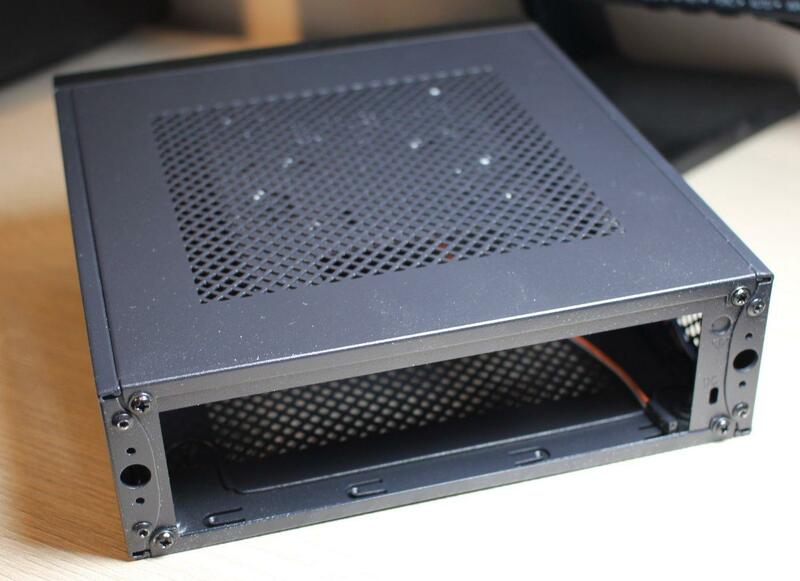 Some slightly bigger cases may come with a custom or SFX sized power supply. such units may have a small intake fan and that once again - may be a source of an annoying noise. The Pentium J5005 is rated at 10W TDP. 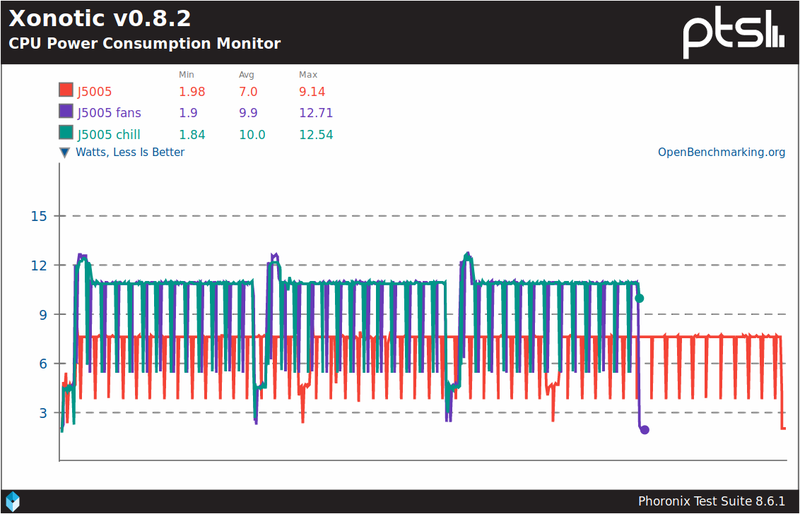 It's not power draw but in this case the system power usage metric do line up. 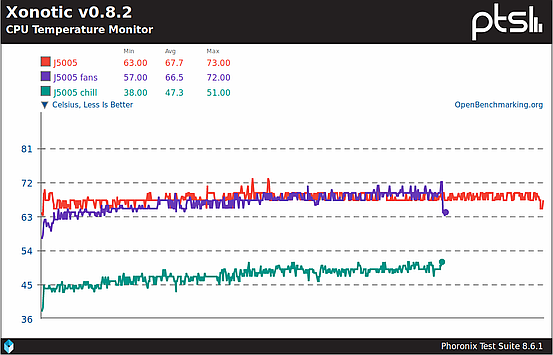 Bit below 10W under CPU intensive load and almost 13W when iGPU is also stressed. The DC power draw reached 24,5W max so nearly double what the CPU used. With stronger CPUs this 10-15W won't increase by much - the only difference will be the power delivery system and in the case of different motherboards - different components having slightly different power usage. One SATA SSD, Ethernet, HDMI cable, one USB Hub with keyboard and mouse plus two DDR4 SODIMM memory sticks - that what was connected to that system. USB2 at max is 2.5W, while USB 3.0 is up to 5W so that non-CPU power draw may noticeably increase when connecting USB devices. 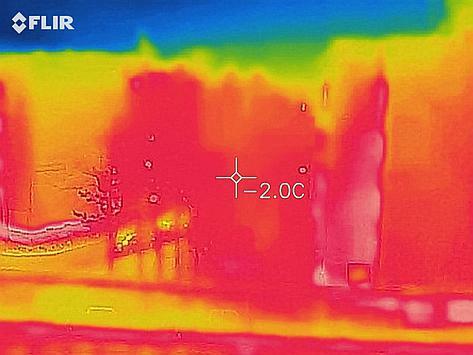 Even when the PC is running fine and the CPU frequency seems ok there may be a slight thermal throttling. Running CPU monitoring - wherever Windows or Linux can help catch those bottlenecks. Under Windows you can use HWinfo that can draw a chart in time for selected parameters. Opening the case, putting it close to an open window should be enough to add to the cooling potential and see if that improves performance. If it does then there is a temperature bottleneck and if not then the cooling is ok.